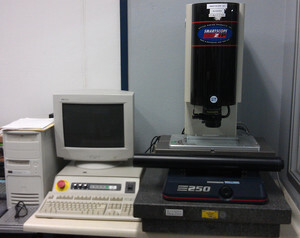 CNC Optical Smart Scope Production Inspection -C&H Machine, Inc. The SmartScope ZIP® 250 sets a high standard in benchtop metrology. This durable system features fast stage speed for maximum throughput and short cycle times, without sacrificing accuracy. The SmartScope ZIP 250 is equipped with MeasureMind 3D MultiSensor metrology software and 7:1 AccuCentric® zoom optics. The SmartScope® Flash™ 250 is a compact machine designed for easy access to the XY stage for maximum fixturing flexibility. Its large 300 mm X travel makes it the system of choice for measuring critical dimensions of long parts on a benchtop machine. Its heavy cast base and rigid steel column provide metrology integrity so accuracy is maintained in real world environments. The SmartScope Flash 250 is equipped with OGP® Measure-X® metrology software and 12:1 AccuCentric® zoom optics. It is fully multi-sensor capable with both laser and touch probe attachments. 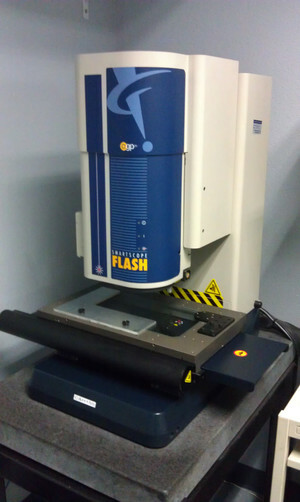 C&H Machine has (3) SmartScope Zip 250 models and (1) SmartScope Flash 250 models allowing us to do extremely accurate, high production inspection in a wide variety of manufacturing industries including metalworking, plastics, biomedical, electronics, automotive, aerospace, and more.